You may look to the stars to find out what type of lover you are. But have you ever wondered what astrology has to say about your chocolate addiction? The astrologically-attuned may notice that while Libras don’t hesitate to give you their last piece of chocolate, Scorpios will draw blood if you dare open their chocolate drawer. For International Chocolate Day, the stars have aligned. We’re providing you with cocoa-dipped cosmic insights for your zodiac sign. Good Day: Sells the most chocolates for charity. Bad Day: Promises to restock your chocolate cupboard that they just “had to” raid. Never does. Motto: Fight the resistance. Chocolate is NOT just for cheat day. Good Day: Creates a chocolate sculpture of you for your wedding anniversary. Bad Day: Becomes instantly attached to anyone who promises to feed them chocolate-covered strawberries. Motto: The best relationships are the ones that start with chocolate-covered strawberries. Good Day: Leaves motivational quotes on sticky notes with your favourite piece of chocolate. Bad Day: Shares chocolates strictly on their terms. Favourite Chocolate: Chocolate covered nuts. Motto: Don’t stop when you’re tired. Stop when you’re done. Because when you’re done, chocolate is waiting. Good Day: Plans a date that includes a box of chocolates at a midnight picnic in a secret location during a meteor shower. Bad Day: Buys chocolates from the gas station. Favourite Chocolate: Dark chocolate with coconut. Motto: Sure, love is great. But being surprised with chocolate is greater. Good Day: Tries every chocolate flavour once. Bad Day: Gets overwhelmed by the chocolate legend. Favourite Chocolate: Milk chocolate. Or dark chocolate. Depends, really. Motto: I can be your dream or your worst nightmare—depending on which chocolate you give me. Good Day: Buys all the boxes of chocolates for the school fundraiser. Bad Day: Sits alone in a dark room eating all the chocolates post break-up. Motto: People don’t cry because they’re weak. They cry because someone ate the last piece of chocolate. Good Day: Rewards employee with chocolates for a year. Bad Day: Cries because employee didn’t post about it on social media. Favourite Chocolate: Salted dark chocolate. Motto: I’ll buy you endless gifts of chocolate as long as you post about it on Instagram. And tag me. Good Day: Ships you your favourite chocolates from across the world. Bad Day: Gets angry when you open a new box of chocolates if there is an unfinished box lying around. Motto: The best people are those who have good taste in chocolate. Good Day: Evenly cuts up their chocolate bar to share with all who are present. Bad Day: Buys bad chocolate and then blames you for hurrying them. Motto: Don’t expect from others the chocolate you are not willing to give up. Good Day: Makes decadent hot chocolate for their book club guests. Bad Day: Slashes your tires if you eat their chocolate without asking first. Favourite Chocolate: White chocolate covered nuts. Motto: Revenge is sweet, especially when I eat all your chocolates behind your back. Good Day: Makes you a triple chocolate tuxedo cake for your birthday. Bad Day: Cracks an inappropriate joke at work about chocolate-covered body parts. Gets flagged by HR. Favourite Chocolate: Chocolate with rice crisps. Motto: The secret to success is enthusiasm and chocolate. Good Day: Gives you the bigger piece of the chocolate pie. Bad Day: Scoffs at the chocolate dessert you brought to the potluck. Motto: We may not have it all together, but together we have more chocolate. One thing all twelve signs have in common: their love for chocolate! 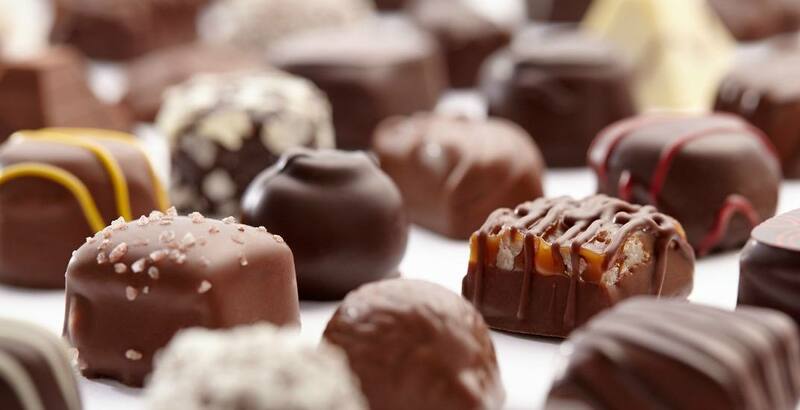 Until September 20, chocolate lovers can enter through today’s post on Purdys Facebook page to win a $1000 chocolate shopping spree at Purdys, Canada’s favourite chocolatier.